Institute for G.O.D. EA Hosts Parents Day! Last week, we hosted a Parent's Day for all students at the Institute for G.O.D. East Africa. As we attempt to do something truly new in East Africa -- combining academic understanding of the Scriptures with practical skills development, all the while creating sustainable jobs--we found it beneficial to invite the parents in, for a better understanding of our efforts. This day proved to be a wonderful success! Below, Peter Kimbugwe reflects on the day alongside photos. The parents day was really a wonderful experience in our lives. We had notified the parents on the phone about the day and time when we need them to come and visit for a day. Almost all of the parents showed up, and those who did not sent another representatives in their place. We also invited the local council leader of the village where we are located, alongside his wife. 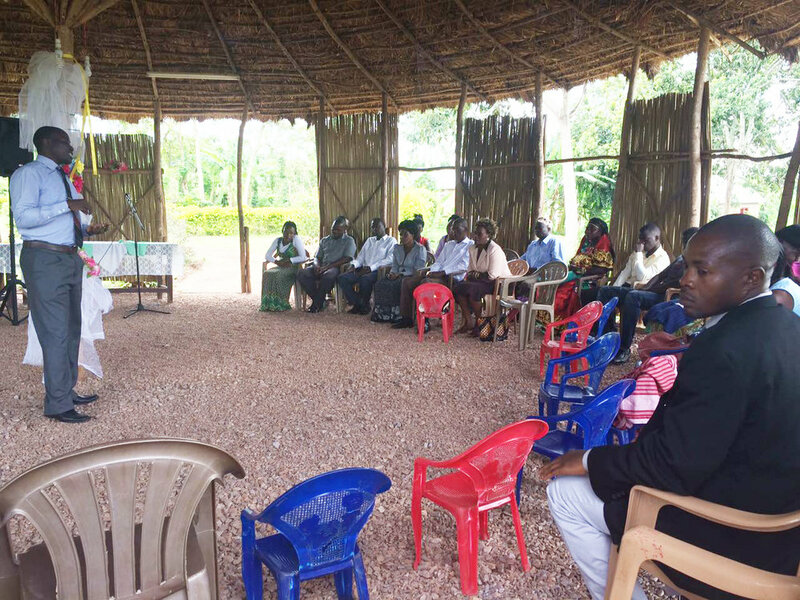 The visitors came in time to attend our Sunday service where we studied the Bible and worshipped together. Then, as we headed into the day, presentations were done by different people. Myself, I presented on the Institute and also The Trade. Then Lawrence talked about our partnership with St. John's Primary, and Francis on the physical projects in the garden and building. Then some students also shared presentations. Brian showed the practice of double-digging, Elijah shared about composting, and Edwin on the use of natural pesticides that we have learned to create and use. Our guests were very impressed with our efforts, and in particular the local chairman. He expressed deep gratitude for what he witnessed and learned from the teachers and students. From his tour of the garden and learning about the different techniques we are using to grow a variety of food on such a small piece of land. 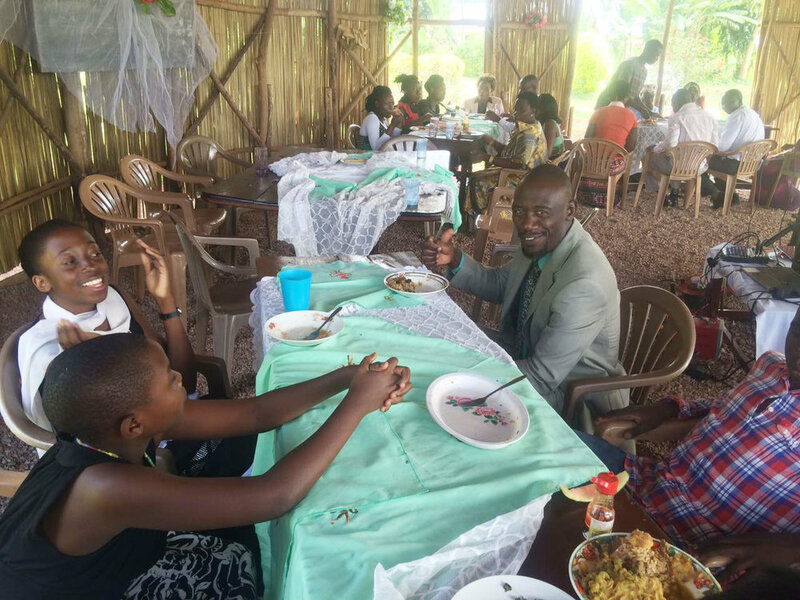 He shared, "With the increasing population in Uganda and land fragmentation, people need to learn your techniques to be able to maximize food production on small pieces of land. I was very surprised of how much productive work is going on on your property within such a short period of time. Not long ago your land used to be a complete bush! But it's now an ordered environment used to empower people." He commended the members of our community for their exemplary behavior, hard work, and contribution to the well being of the greater community. We had lunch prepared and enjoyed a nice meal together. After a tour of our property, we facilitated a question-and-answer time. Parents asked questions and we answered to their contentment, and led a closing time of prayer. Older PostHometown SLAM hits the Philippines!